Stop by this Saturday to sample some of our hottest wines from 2014. We were able to acquire a few more cases of each for the occasion and we’re offering them at the discounted price. 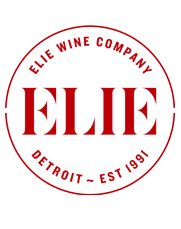 2014 was a big year for Elie Wine Company. After a twenty year run we said goodbye to our downtown Royal Oak storefront and embraced our new, grander, and more organized Birmingham location. We love the new neighborhood and the new neighborhood loves us too. It was a positive move for many reasons, not the least of which is parking. Not only can you access our parking lot from 14 Mile Road and Woodward, we actually have a parking lot. Our longtime Royal Oak customers will recall us loading cases of wine into their cars half-parked on the sidewalk while Main Street traffic whizzed by. We have some great wines coming in the next few weeks, French, Spanish, and Italian. But please join us this Saturday to remember some of our most popular wines of 2014. By far, our top selling wine by volume. It always outperforms its price. Dry, slightly fizzy, and practically sings out for a charcuterie plate or a Supino pizza. Small production, highly aromatic, and exceptionally drinkable classic Mediterranean blend. Young winemaker on the rise. Exudes dark cherry aromatics before a sip brings a full-bodied and energetic texture. Big, concentrated, “second-label” Bordeaux wine from the renowned Château Smith Haut Lafitte. From a scant 20 acres on a hillside with perfect southeastern exposure in the heart of the historic Bussia cru. Excellent concentration, lively acidity, and nicely integrated tannins.